A thrilling bonus adventure with Professor Burns' protégé! Music, wallpapers, concept art, and more! Amaranthine Voyage: The Shadow of Torment Collector's Edition is rated 4.2 out of 5 by 47. 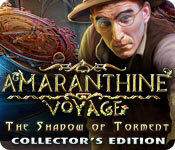 Rated 5 out of 5 by jap54 from Amarantine Voyage: The Shadow of Torment Collectors Edition This has been one of the best games I have played with BFG - I have totally become so addicted to this spent a day and half on this and am still playing this - it's various types of puzzles, hidden objects and general storyline is fasinating and so addictive - will certainly look forward to more games of this type hope I can remember the game designers - maybe BFG can help on this one. Cannot give enough praise for such an entertaining game with a lot of thought but help if needed. Rated 5 out of 5 by ndcope21 from Amaranthine Voyage: The Shadow of Torment EXCELLENT!!!! It's everything I expected and more. Another great one from Big Fish. Rated 5 out of 5 by spectrumAU from wow, what fun! 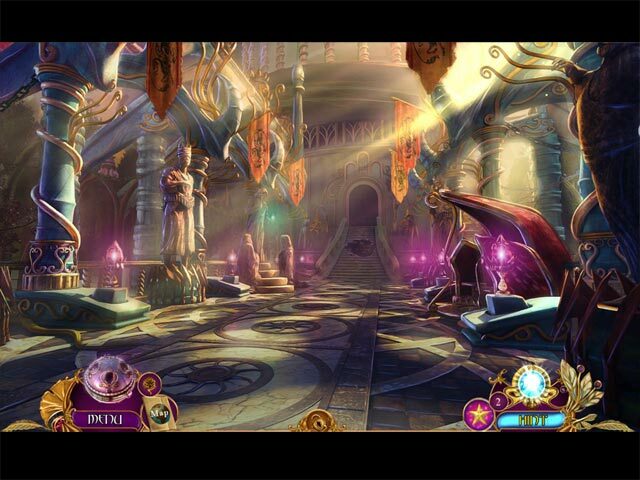 One of the best hidden object games I've played. Rated 5 out of 5 by telara7777 from Love how this game was put together I found this game to be well created. A tight game that has the player find all the necessary elements in a set of scenes before moving to the next set. I found the visuals beautiful. Help hint was actually helpful. The information on how to play mini-games could have been better in some cases. But overall, a very enjoyable experience. I also enjoyed the bonus game and the bonus content - the flower finder and the trophy room. Just a well thought out and fun game. Loved the story-line too. Would highly recommend this game. Rated 5 out of 5 by Fuphyter from AMAZING GAME Hi Gamers, Another amazing game from Eipix I really love this game. The visuals are colorful and amazing. I love the Art Nouveau influence in the graphics. My favorite artists are Maxfield Parrish and Louis Comfort Tiffany. The voiceovers are also great The storyline is very imaginative and awesome. Just a great game all around. You can play marble shooter rather than the HO's. I only played the marble game three times because the graphics in the HO's are so beautiful. There are collectible flowers and morphing objects in the HO's. The bonus game is worth the price of the CE. Rated 5 out of 5 by tobysue09 from Eipix does it again! Wonderful game! I don't think this developer can make a bad game! Lots to do and well worth the CE cash. Not disappointed and can't wait for their next game. Yes, I have bought them all!! Rated 5 out of 5 by krinneyd from A Winner from Eipix! Really enjoyed this game from Eipix. Not that I usually don't but it's hit and miss with these developers and I'm not really sure why. I think it has a lot do with how much there is to do in the game and this one was just chalk full of fun and interesting interactions. 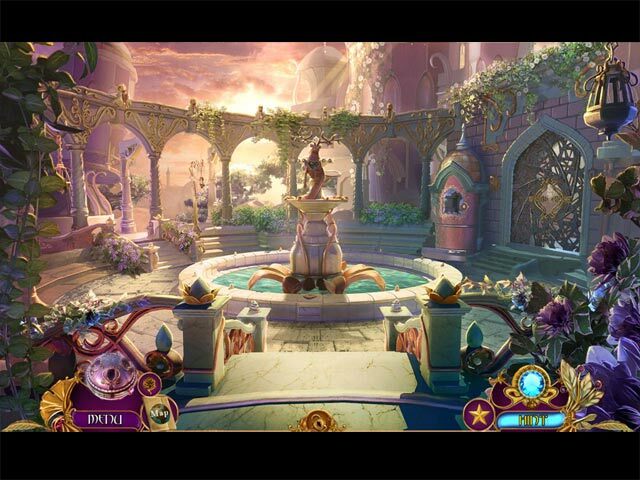 A great mix of hidden object, not always the same, which really makes a difference for me. And mixing it up on the puzzles. I dislike repetition, quite frankly drives me bonkers. Also not having the same faces over and over again, I realize that doesn't save on actors but use different faces in your company, doesn't really require savvy acting just creative graphics from what I can see. And Eipix know's how to use their own quite creatively. Voice overs seem to be a endless pool to draw from. My own son in law is a thespian and extremely talented. Anyway, back to the game. Loved the graphics, more colorful in this anthology of the Amaranthine series. Several different scenes to go through. Two separate heroines. Equals lots of fun, and lots of playing hours.....I lost count after 6. Great value and that matters a lot to me. Highly recommend! Rated 5 out of 5 by Cookie827 from What a great game I enjoyed this game so much I did not want it to end. The graphics are great. 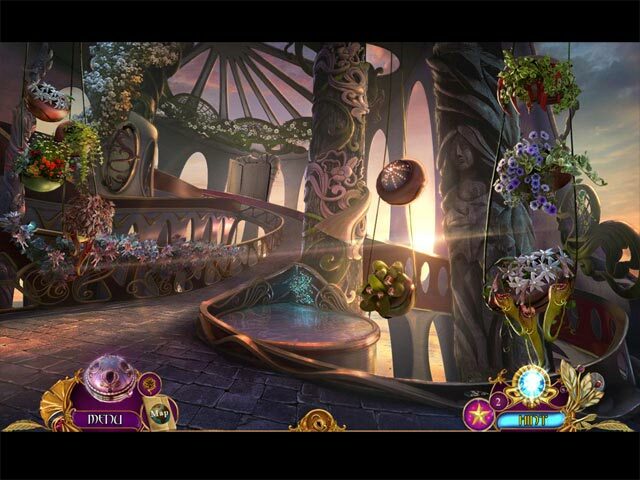 I like the music; the games are challenging as are the Hidden Objects. Cannot find one fault with the game. May have to go back and play it again. Rated 5 out of 5 by LunaNik from A rare 5-star rating from me...Eipix has the bar up high. Amaranthine Voyage: The Shadow of Torment CE Review based on completed game, bonus play, and extras PREFACE… Let's face it: there are very few devs these days who do it as well as Eipix does. You get a well-developed and interesting story that unfolds in a way that keeps you enthralled, gameplay that keeps you busy and intrigued, graphics that make you believe in alternate realities, music that brings it together, and extras galore. And, if you watch the credits and "making of" movie, you know they have a lot of fun doing it. ONCE UPON A TIME... You're back in your role as Professor Burns, the female Indiana Jones (sans whip, avec bow). Your current archaeological dig uncovers artifacts from a civilization unknown to Earth…and a device which acts as a portal. The realm is called Anther, and it's being gradually drained of its magic by an entity its residents call Torment. The ancient Antherian prophecy states that you, along with another, will save both Anther and Earth from this devastating threat. However, other forces are also working against you, as Anther is not the idyllic paradise it appears to be, and you must uncover both allies and foes along the way. PLAY THE GAME... You won't be bored, I can promise you that. If there's an opportunity for a puzzle, mini-game, or HO scene, there is one. Merely picking up an item is rare. HO scenes are both large and (zoom in) small. They include interactive list, silhouette, matching pairs, multiples, and more. Puzzles and mini-games run the gamut from simple to complex, from familiar to unique, and include pattern recognition, repeat, jigsaw-type, arcade, light reflect, pipes, etc. You'll also deal with a number of items within your inventory panel (plus items). SIGHTSEEING… The animation is superb, crystal clear and smooth. Characters move in a lifelike manner, including lip synching, which is to be expected since Eipix uses graphics over live actors and green screen technology. Background graphics are majestic and fanciful, evoking a civilization based on magic rather than technology. No detail is ignored. There is particulate matter in the air, and small clouds of tiny insects hovering around plant matter. Sunbeams shine through clouds and intersect the landscape. Interaction with the flora and fauna initiates animation. It's quite magical. SOUND WAVES… The music is familiar if you've played the other games in this series…lots of ambient soundscapes. Voiceovers are professional, and environmental sounds are incredibly prolific and aid in immersion. TOOLBOX… The map is styled to resemble a scrapbook, and it includes your current goal. It shows both areas where actions are available and the location of the goal, and transports. You also have the orb, which provides you with items as you fill its slots. And you pick up a crystal which can be charged to help you in certain ways. WORKING THINGS THROUGH… (new category about game mechanics) The inventory locks open. Navigation is intuitive. EXTRA, EXTRA… Ready? In the lengthy bonus game, you play Victoria, lost in the interface between realities. Find your way home, and help someone else while you're at it. If you collect all the remembrance flowers, you'll unlock the Lore Book, which includes a history of Anther, its class structure, its geography and notable monuments, and its technology. All the larger HO scenes have morphing objects. And there's a souvenir room, filled by finding an item in each scene. You can replay 32 puzzles and mini-games, as well as several levels of bubble popper. Plus, if you find the orbs, you can play three HO scenes from other Eipix games. There are performance achievements to be earned. And the developer's portfolio includes wallpapers, music, movies, pictures showing you the cast alongside the characters they played, and a terrific "making of" movie. Needless to say, you get your CE money's worth. THE LAST WORD… It's rare for me to award five stars to a game. Check my review profile and see. This one gets them…all five. I also recommend the first two games in the series, although they're not necessary for cohesion. Other notable games by this dev include the Off the Record series and the Sea of Lies series.